715 Hollywood Road, Old Forge, NY.| MLS# S1164948 | Benn Realty LLC -Since 1968, and now with offices in Old Forge and Remsen to serve you better. Move right in to this immaculate 3 bedroom, 2 bath home located in Hollywood Hills. This spacious ranch has a great floor plan! There is a large master suite with a private bath and a walk in closet, a nice open living area with an adjoining den and two additional bedrooms with a shared bath. This property has a nice sunny front deck, a storage shed and lake rights to the Hollywood Beach and boat launch. 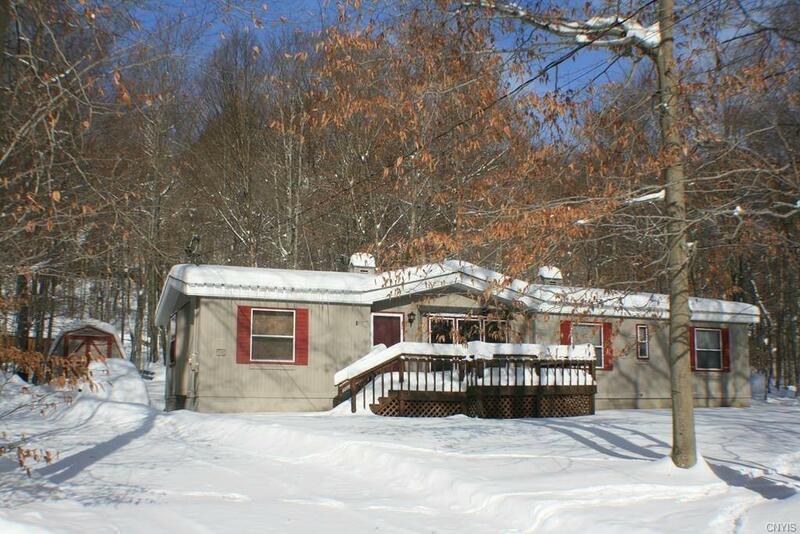 Directions To Property: From Old Forge, Take State Route 28 Past Enchanted Forest. Bear Right Onto Hollywood Hills Road. House Will Be On The Left.